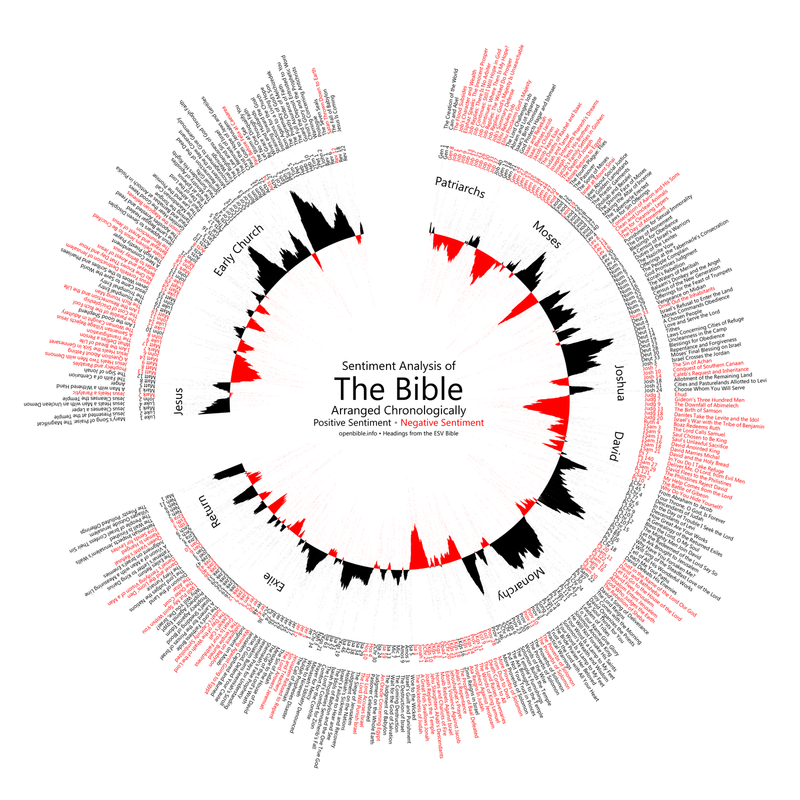 Openbible.info has done an interesting analysis of the positive and negative sentiment in the Bible, and has created some pretty neat and visually stunning visualizations from their findings. According to Open Bible, the below visualization "explores the ups and downs of the Bible narrative, using sentiment analysis to quantify when positive and negative events are happening:"
Click for larger image, or grab a full size download here (.png, 4000×4000 pixels). Responding to commenters on the site, Open Bible created another visualization, this time with the data arranged by book "with a moving average of five verses on either side. 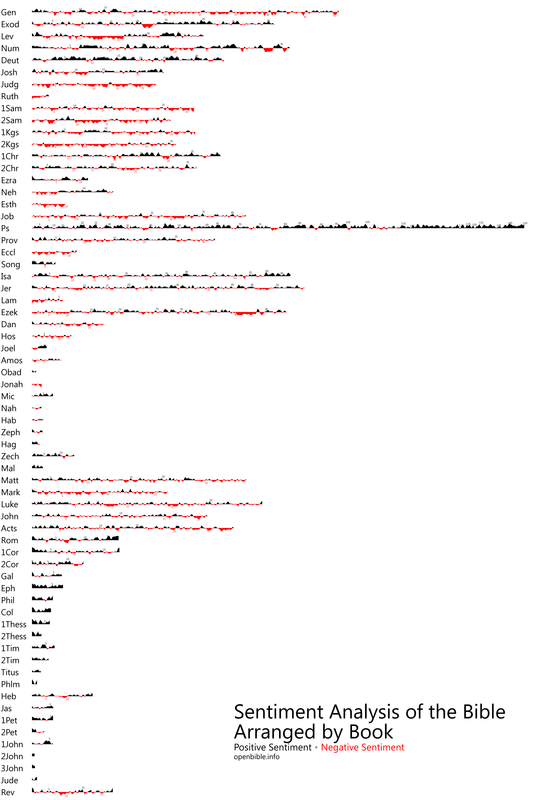 (By comparison, the [other] visualization uses a moving average of 150 verses on either side.)" Click for larger image, or grab a full size download here (.png, 2680×4000 pixels). While the data, or the visualizations, aren't exactly mind-blowing or surprising to anyone who has a good knowledge of Biblical narratives, it is compelling in that it illustrates the way that modern technology allows us to explore ancient manuscripts in ways that its writers never would have imagined. And while the above data-slicing may point to the wealth of negative sentiment in the Bible as a means of illustrating the questionable nature of much of its content, it also reminds us that The Bible is at its heart a work of literature. Any literature without its peaks and valleys would not have very much to offer anyone. 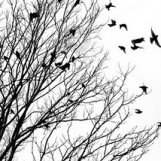 I would be interested in seeing some more complex, and telling, data analysis, such as a comparison of harmful vs. non-harmful commands given by God, or a comparison of prohibitive vs. permissive language. See Open Bible for more information, including methodology.